In our series of letters from African journalists, Ghanaian writer Elizabeth Ohene explains why she backs the Swazi monarch's move to rename his country. Clearly King Mswati wanted to leave no doubts in anybody's mind that he himself was the state. As things turned out, the big announcement had nothing to do with the king acquiring a new wife. He simply announced he was changing the country's name. Coming as I do from Ghana, I feel I must have sympathy for this move. We changed our name at independence, going from the colonial-imposed "Gold Coast" to Ghana. After all, eSwatini, we are told, simply means "land of the Swazis" - in other words, Swaziland. It is not exactly like Ghana where we went back into history to claim a heritage that is still argued over. Will South Africa become 'Azania'? Other countries in the eSwatini neighbourhood did it without causing too much drama. Very few people remember that Botswana got its name at independence and until then, was known as Bechuanaland. "The trick is to change the country's name at independence and not wait until years later"
The same goes for Malawi, which until independence was known and called Nyasaland. Zambia was Northern Rhodesia and who will ever forget that Zimbabwe was previously named Rhodesia? The trick is to do it at independence and not wait until years later. Every once in a while I wonder if one of these days we might wake up to the news that South Africa has decided to rename itself "Azania". Back in the 1970s and 1980s and indeed up until the 1994 democratic elections, there were lots of people who assumed liberation from apartheid would bring a change of name to Azania. If King Mswati III wanted to be really brave he could have followed the example of the late military leader of the country once called Upper Volta, Thomas Sankara, who jettisoned that colonial name in favour of the somewhat dramatic Burkina Faso, which means "the land of the upright men". 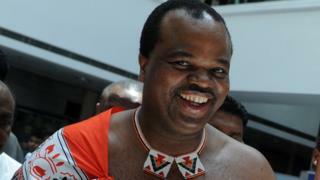 Or, King Mswati III could have renamed his country whatever the Swazi rendition is for "the land of many wives". For the moment, we shall stick to the boring eSwatini.